Comcast has dropped the bidding war with Disney to acquire assets from 21st Century Fox and will instead focus on the acquisition of Sky. “I’d like to congratulate Bob Iger and the team at Disney and commend the Murdoch family and Fox for creating such a desirable and respected company,” Comcast chairman-CEO Brian Roberts said in a statement Thursday. Disney will now be free to complete the $71 billion acquisition, which will see it gain Fox assets including the 20th Century Fox film and TV studio, FX Networks, National Geographic Partners and Fox’s 30% stake in Hulu. Iger, Disney’s chairman and CEO, said: “Our incredible enthusiasm for this acquisition and the value it will create has continued to grow as we’ve come to know 21st Century Fox’s stellar array of talent and assets. The battle between the two companies has been one of the most high-profile M&A moves in recent history. It resolves one of the many M&A moves taking place at the moment. With AT&T’s Time Warner acquisition recently put on hold, after the government appealed the court decision to allow a deal between the companies, Comcast thought it best to not go ahead with the push for Fox assets. Comcast, Disney, and Fox are still negotiating over Sky, however. 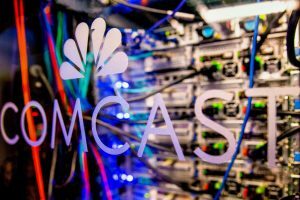 Comcast most recently raised its cash offer for Sky to £26 billion (US$34 billion), after Fox had offered £24.5 billion for the remaining 61% of the company.